Many organizations are unable to get past fragmented approaches when it comes to managing cloud performance. Without clarity and 360-degree visibility, it is practically impossible to identify and tackle the root-cause of performance issues. In several cases, IT is still seen as a cost center to support business processes. Inevitably, organizational productivity is compromised, compliance and security needs are disregarded, and the availability of applications greatly hindered. 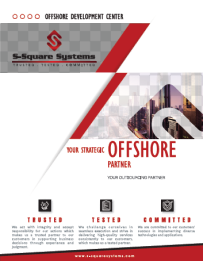 At S-Square Systems, we know better. Focus on robustness, availability, and efficiency must never be at the cost of business innovation – something which creates a perennial mismatch between the operational and developer team. Our Cloud Managed Services deliver seamless cloud experience that is realized by ensuring harmony between configuration, provision, security and application management. We help organizations attain optimal operational agility, a better-managed IT governance and more inclusive integration of diverse components—from applications to platforms – on the cloud infrastructure. Through our Cloud Management offerings, we define the best-in-breed cloud framework that allows for continuous delivery of DevOps across heterogeneous cloud models – be it private, public or hybrid. Manage all your resources & projects centrally – and uniformly. Minimize the cost of providing the service. Filter out the avoidable costs of a hybrid cloud environment. Manage workloads effectively with a combination of strategic planning and tool selection. Eliminate the complexities of cloud management. Adopt a streamlined approach to cloud computing. Make the resources available for customers on an on-demand basis. Go beyond the flexibility and costs savings of cloud computing. Provision multiple instances of a service simultaneously. Accelerate the adoption of hybrid cloud. Simplify the configuration and deployment of vital components. Maintain complete control over resources and software subsystems. Adapt to rapid changes in technology trends. Streamline the delivery of cloud services throughout the lifecycle. Move from technology component management to delivery of cloud services. Gain visibility into existing & future multi-cloud costs. Ensure the alignment of new/existing services to roadmap. Enhance performance of hybrid applications, all the while lowering costs. Improve service delivery effectiveness across all lines of business platforms. With greater alacrity than ever before, emerging techniques like automated testing and cloud-focused environments are being leveraged to drive ROI-centric efficiency and scale down developmental costs. Cloud platforms have the uncanny ability to package all relevant services into applications – encompassing architecture, database, and virtualization. 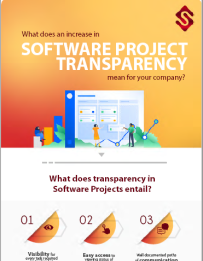 By ensuring the standardization of common processes and shared environments, companies have discovered the treasure trove of accelerated application delivery and drastically improved quality – which makes the development of mobile applications scalable and extensible in the truest sense. 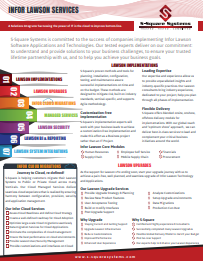 S-Square System’s suite of Cloud Application Services does more than just nudging your journey to the cloud. Regardless of whether you’re venturing into a brand new application or moving a pre-existing program, we are always adept and on-point. With our commitment to supercharge dollar-value efficiency, our offerings include but are not restricted to – migration and monitoring solutions running on PaaS/IaaS cloud platforms. Optimize large-scale cloud migration seamlessly. Maximize the potential of IaaS and PaaS. Break the ‘lift-tinker-and shift mentality. Bring synergy between agility and business continuity. Reduce the surface area that you must secure. Ensure the best performance on diverse cloud environments. Optimize and troubleshoot at every single layer – from the infrastructure to the UX. Solve your reliability problems and complex performance with extensible SaaS solutions. Get instant and complete visibility across your systems. Create data streams, optimize events, and get real-time alerts from searches. Identify anomalies and patterns using advanced analytics. Get the perfect cloud deployment model to gain a competitive edge. Gain unbridled access to IT resources and services to make your business agile & flexible. Ensure reliability and scalability of performance even in diverse and scattered environments. 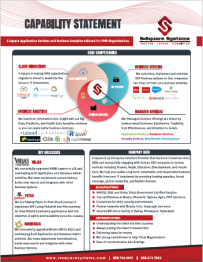 Augment the functionality of your applications. Support stateful as well as stateless applications. An end-to-end solution that transforms the way testing is done. Enhance your competitiveness by reducing the testing cost without impacting mission-critical applications. Enable provisioning of test servers on demand. Leverage a framework and platform-agnostic means of carrying out automated testing. Avail the ideal way to conceptualize and write test cases. Most enterprises continue to run their businesses on legacy applications and systems that cannot keep pace with the fluidity of modern ecosystems. They were built at a time when disruptive agents of change such as Mobility, Big Data, and Cloud did not exist. As a result, they are still operating in silos and are unable to harmonize the cumulative benefits. A fragmented operating environment inundated by disparate systems and technologies. Against this backdrop, the need of the hour is to codify this growing complexity using the infinite potential of the cloud to devise automated, scalable and future-ready solutions. 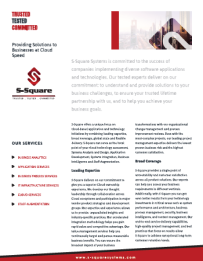 Keeping all these predicaments into consideration, S-Square Systems are uniquely positioned to leverage Cloud Infrastructure to modernize IT infrastructure – by enabling extreme automation, transforming legacy business practices and increasing agility through a blend of public, private and hybrid clouds. Our offerings support planning, implementing and managing diverse cloud environments with an enviable assortment of choices. Our automated monitoring of multiple clouds help you scale applications without having to pile up tedious hardware or hiring elusive skill sets. Each cloud operates in a uniquely tailored environment with enterprise-level functionality, to address a wide array of customer requirements. Eliminate the roadblock of complexity to business value creation. Detect, prevent and remediate potential loopholes while planning a Cloud Infrastructure strategy. Avail a portfolio of flexible options to implement and upgrade cloud environments. Change the realm of IT from CAPEX to OPEX. Guarantee 24×7 IT Services availability. Discover which combination of models is best suited for your needs. Maximize the benefits of a hybrid IT cloud infrastructure with your preferred choice of platforms. Drive ROI and efficiency within well-defined SLAs. Ensure optimal economies of scale and scalability across all industries. One-stop point to run your services – no matter where your infrastructure lives. Actualize the true benefits of Cloud Infrastructure Optimization. Host critical applications with unmatched cost & efficiency benefits in a multi-tenant cloud environment. Effectively re-position your business on the Cloud quicker, while eliminating the maintenance & support burden from your team. Select a business process that is in total harmony with your business policy. Deliver better than expected profitability by getting the most of all delivery models. Streamline the underlying cloud environments to support large-scale elasticity and scaling. Leverage automation, standardization, and repeatability in a way that leapfrogs business efficiency. Easily manage business processes in a hybrid manner to attain delivery of the best outcomes.